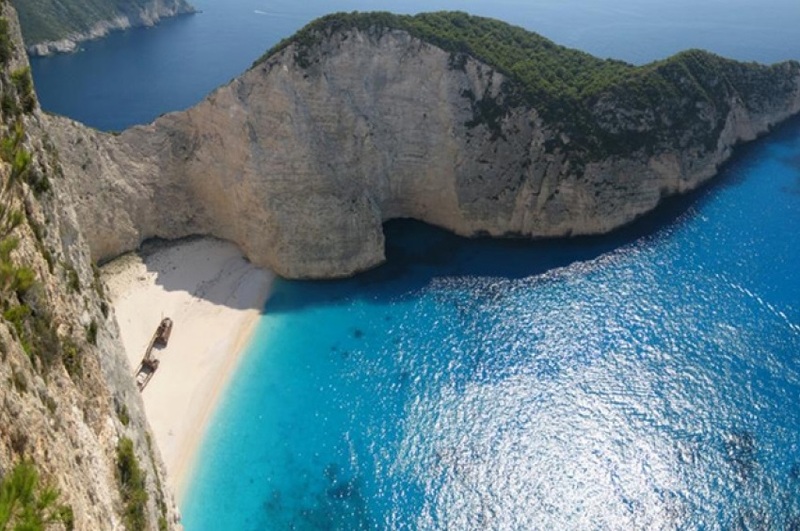 The popular shipwreck beach, known as Navagio, on the Ionian island of Zakynthos, has re-opened with restrictions to the public after a cliff collapsed injuring several tourists earlier this month. A scientific and technical committee made of geologists and natural disaster management experts examined the rock formations and concluded that landslides are a common phenomenon based on the stability of the upper and lower sections of the cliff, adding that the beach should remain closed until further studies are carried out. 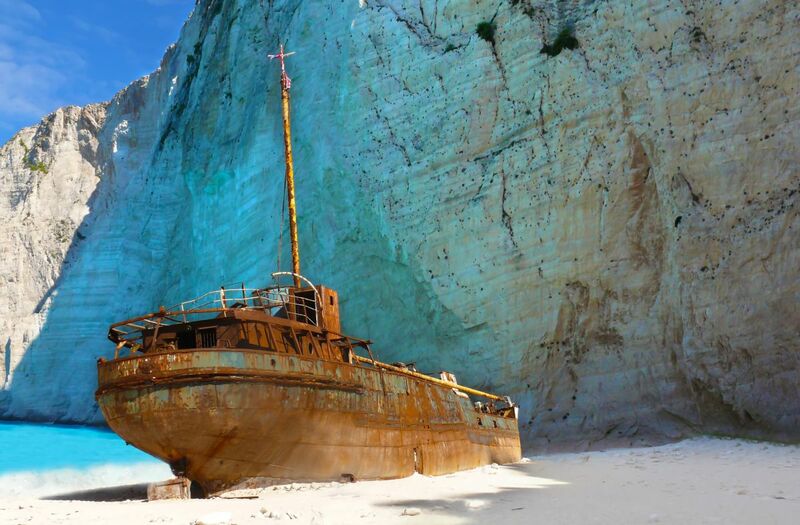 Zakynthos authorities however have lifted the ban imposed on September 13, allowing boats to anchor mid-water only in front of the shipwreck and not along the sides of the beach. At the same time, port authorities remain on the spot carrying out patrols. One of the world’s most visited and photographed beaches and Zakynthos’ leading tourist attraction featuring the shipwreck Panagiotis, Navagio Beach is accessible only by boat. I did hear about the landslide and am glad this has reopened- we absolutely LOVED our visit and Zakynthos as an island, in general, was amazing. If you’re wondering if you can just do the boat trip and skip the view from the top…. The short answer is NO! You will thank me for it when you see it for yourself.